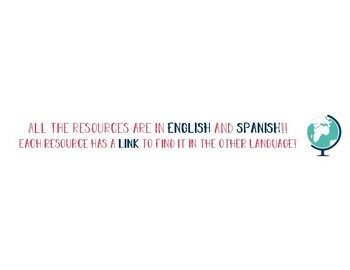 All Resources are in Spanish and English!! All the resources that you find in the store are in both languages, Spanish and English. In the description of each one of the products you will find the link to the same product in the other language.